Ism’t that guy named Raphael? Possibly. Also our gun culture is inferior. Yeah, but that was before he was known as Raphael. Whoa, easy there Annie Oakley. 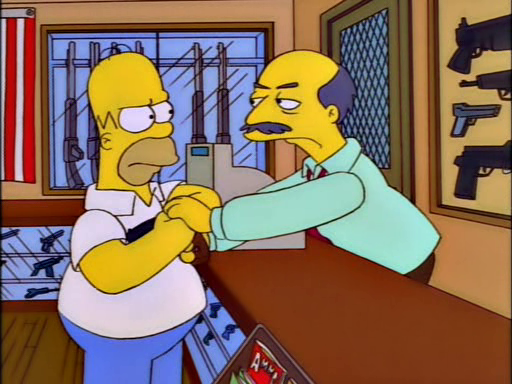 The first episode of Mike Scully’s showrunner stint and already Homer’s in full-on jerkass mode. He really didn’t waste a second, did he?